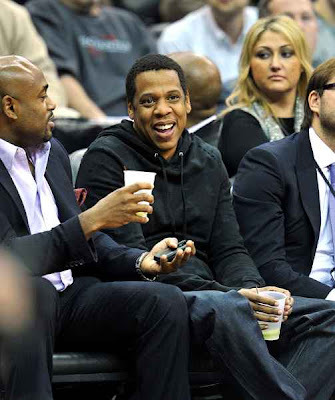 Ah yes that's the cure for a 6 game losing slide, having Jay-Z courtside. Jay Z kicks it with good friend Steve Stoute and it looks like they had a pretty good evening with the best part being the Nets won! This also came on the day the Nets decided to end their trade talk for Carmelo. 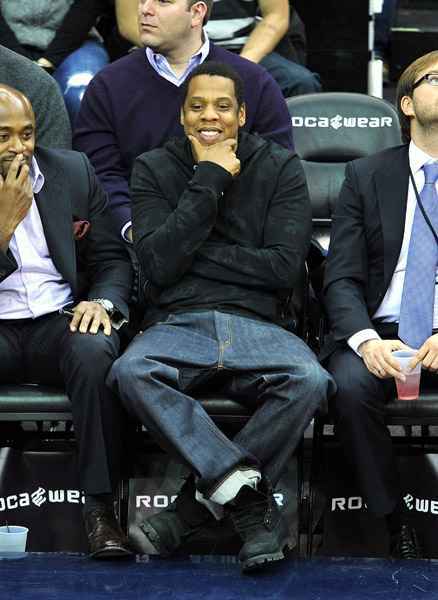 Must be nice to sit in your chair's with your brand all over them.